Modernize Oil & Gas Solutions. Drive innovation. The oil and gas industries face a challenge from the fast-rising popularity of renewable resources. To adapt and thrive in a challenging market, companies need to improve efficiencies, simplify processes and rein in costs. Better, faster and safer SAP changes, and driving innovation is critical to survival. Now companies can introduce SAP agile and DevOps to accelerate the delivery of applications and enhancements and generate new revenue streams. With Rev-Trac Platinum companies can automate slow, inefficient manual change processes, accelerating digital transformation at lower cost. Switch focus from support to innovation, increasing productivity and generating new business streams for a competitive advantage. Automate the many tasks associated with delivering high volumes of SAP change and remove the ‘manual roadblock’ for better management of operation costs. Adopt agile and DevOps capabilities in your SAP environment to speed up the delivery of applications and enhancements. Say goodbye to cumbersome, opaque organizational silos. Improve cross-team communication and deliver SAP change at the pace required. Achieve greater business agility with the integration of key automated tools and processes into an end-to-end approach. Gain control of your company’s SAP IT costs, delivering faster, better and safer applications and enhancements more economically than ever before. Your control change automation platform is implemented in weeks – not days – with software that works out of the box. Improved operational efficiencies and stable SAP systems drive costs down, allow companies to thrive. Reduce system outages with the elimination of high risk manual SAP change processes. Banish inconsistent change processes that increase the threat of unscheduled downtime. Automate critical tasks and enforce predetermined change control processes, speeding up change management without breaking production systems. 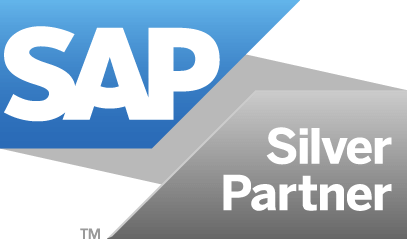 Submit this form and we’ll get in touch to chat about how Rev-Trac can help you get more from your SAP systems.